Article: The Teen Choice Awards Releases The 2nd Wave Of Nominees! Vote For Your Faves Here! In just a little over a month, the renowned, prestigious and magical Teen Choice Awards will be bringing together all of your favorite celebrities under one roof. The remarkable and stupendous Teen Choice Awards is a day dedicated to the teens and YOUR choice is what deciphers who will be taking home one of those coveted surfboard trophies. The Teen Choice Awards has many outstanding and phenomenal categories where you all can have your voice heard over various categories whether it be in the movie and TV show world, modeling world or even take a pick on who takes the best selfie! The Teen Choice Awards has just released its second wave of nominees revealing the nominees for categories including “Choice Movie Villain”, “Choice Scene Stealer”, “Choice Music: Next Big Thing”, “Choice Model” and even “Choice Selfie Taker”. Take a look at all the nominees below and a big congratulations to everyone who was nominated! Now it is all up to YOU – do YOU want to see your favorite celebrity take home a Teen Choice Award? Then go on and vote at this link: http://vote.teenchoice.com or you can also use your Twitter account to vote too – the more votes the merrier! Check out this article I wrote to see the first wave of nominees for this year’s Teen Choice Awards: https://alexisjoyvipaccess.wordpress.com/2015/06/13/article-the-renowned-teen-choice-awards-announces-its-first-wave-of-nominees-see-the-full-list-here/ . 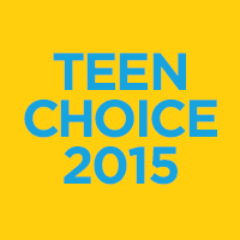 Comment below and tell me or tweet me at @alexisjoyvipacc, who will YOU be voting for to win a Teen Choice Award? Don’t forget to tune in and watch the Teen Choice Awards on FOX on August 16th! Previous Article: Is Louis Tomeo Ticklish? Find Out As He Supports The Laugh4Life Challenge To Help Cure Childhood Cancer! Next Article: Austin North Shares Phenomenal New Cover With Lauren North And Grant Woell! Watch Here!